Online Learning is increasing its value continuously. 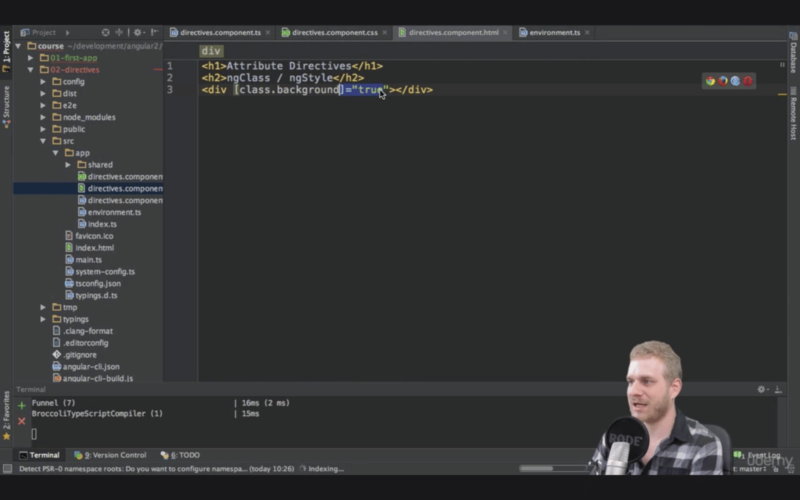 No doubt, Udemy is a great resource for expanding your web development skills. You can find comprehensive online courses for virtually all web development frameworks and technologies which are relevant nowadays. Although the final Version of Angular 2 has not been released yet, you can already find various Udemy online courses on that topic. Angular 2 is the next big thing. It’s one of the leading frameworks for building modern, scalable, cross-platform apps. If you want to establish yourself as a front-end or a full-stack developer, you need to learn Angular 2 now. 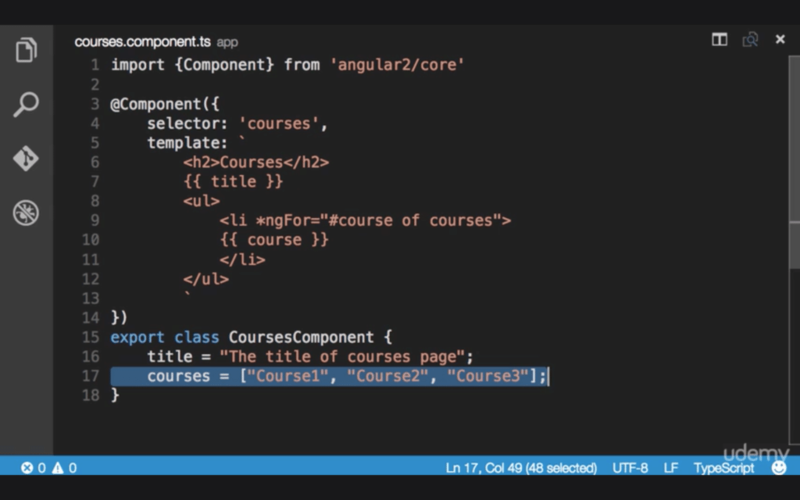 As the number of Angular 2 courses on Udemy increases fast it’s time to take a deeper look and see which of the available courses are up-to-date, easy to understand and comprehensive. 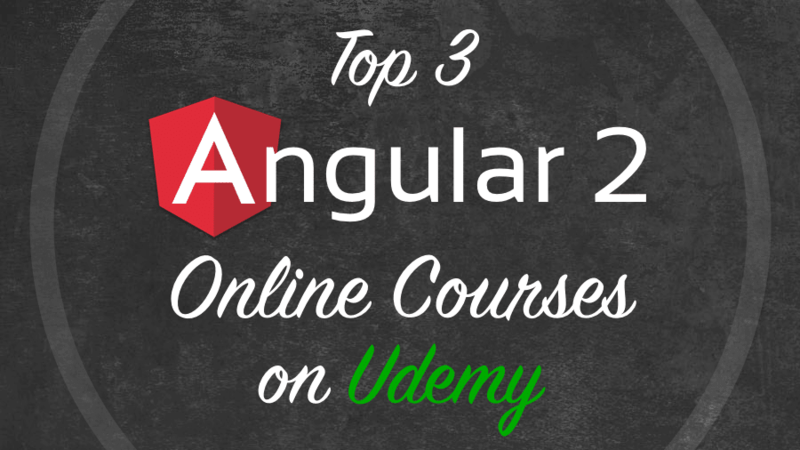 In the following you can find a comparison of the TOP 3 Angular 2 online courses on Udemy. With a total of over 8450 students the course has a vivid community. This is great, especially when you are starting out with Angular 2 as you can find help easily when you experience problems. Maximilians course The Complete Guide to Angular 2 delivers tons of great content. With a total of 27 hours of video content this course is by far the most comprehensive Angular 2 course available right now. If you are looking for an up-to-date Angular 2 course which gives you a deep & profound understanding of Angular 2 and the underlying concepts that comprehensive Udemy course is worth buying. With frequent course updates it is ensured that you’re always getting content which includes changes in latest Angular 2 releases. 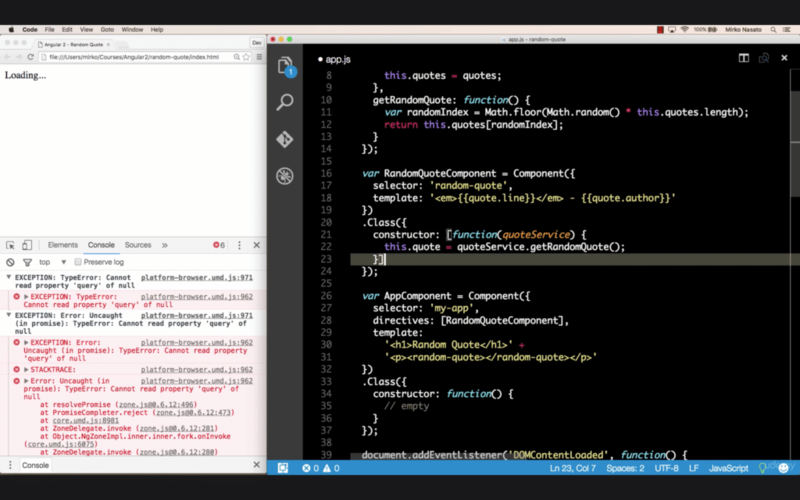 Mirko’s course is called Angular 2 From the Gorund Up and is delivering over 9 hours of video content. What’s very great is that a seperate module is include to cover ECMAScript 6 and TypeScript fundamentals. Before diving deeper into Angular 2 this helps to get a better understanding of the basics as Angular 2 is making heavy use of both technologies. Another think I’d like to point out are the modules Production-Ready Build Workflow and Unit Testing with Jasmine and Karma. With Production-Ready Build Workflow you’ll learn how to automate development workflows by using NPM scripts and webpack. With Unit Testing with Jasmine and Karma you’ll learn how to set up tests by using Jasmine and how to automate test case execution by using the Karma as a test runner. The topics from both modules are more advanced topics and are great if you plan to start using Angular 2 in a production environment soon. The teaching style of Mirko is also very clear and easy to follow. He guides you step by step to the various steps needed to implement the samples used throughout the book. There is one thing which might be a little confusing, especially for beginners. Before introducing ECMAScript 6 and TypeScript in modules 3 and 4, Mirko is using plain ECMAScript 5 in module First Application. Of yourse it is possible use the Angular 2 framework with ECMAScript 5 only, but it makes the first examples harder to understand and the course course harder to read as there is no object-orintied syntax avaiable. This course it great if you really want to learn Angular 2 from the ground up, especially if you want to dive into more advanced topics like testing and enhancing your development & build workflows for working in a real world production environment.